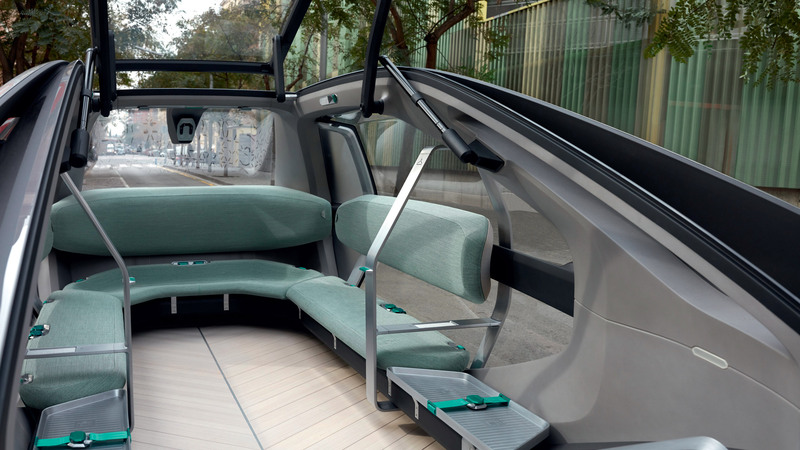 Renault's Ez-Go concept functions as both a car and an Uber-style ride-sharing service. 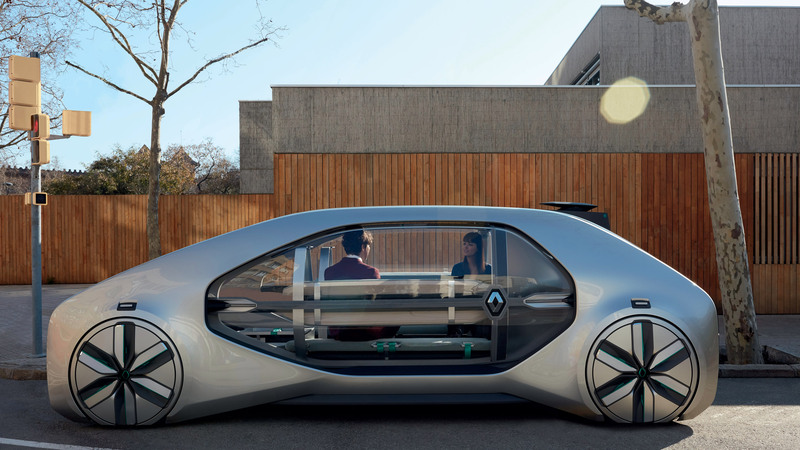 "The future of mobility is electric, connected and autonomous," Renault said. "People will choose whether they want to drive or be driven, with or without a driver on board." 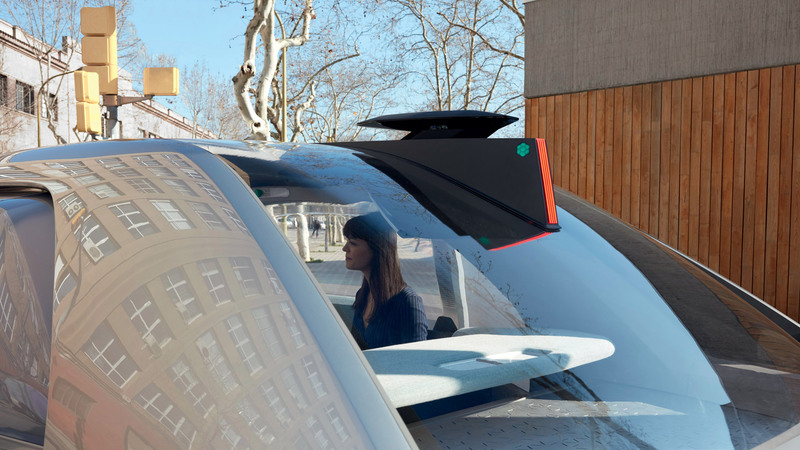 "With vehicles that are more and more integrated into the surrounding environment, in cities that have become 'smart' through sensors, connectivity and other innovations are designed to make urban life more pleasant for people." Renault also said that it would offer "highly competitive" prices in comparison to existing public transport services – although details about costs are yet to be revealed. With no driver's seat, and underfloor batteries in place of an engine, riders benefit from maximum cabin space. 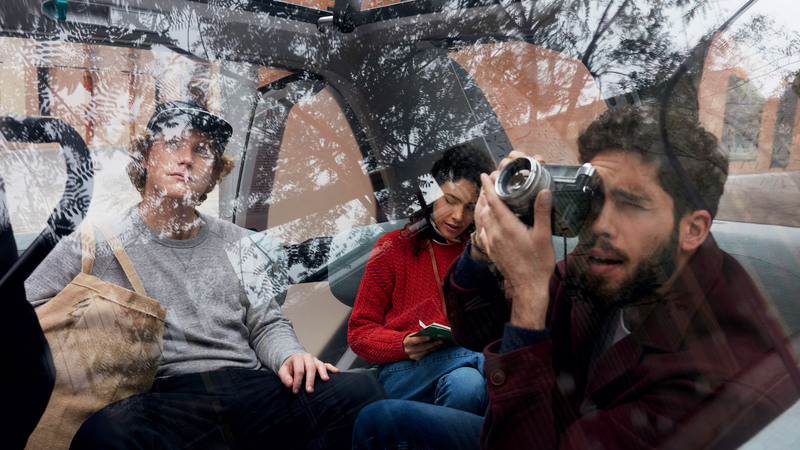 A glass panorama roof floods the interior space with natural light during daytime driving, while the vehicle's limited height ensures it doesn’t spoil outside pedestrians' views of the city. "Renault EZ-GO's trapeze-shaped design helps it fit into the city," said the company. 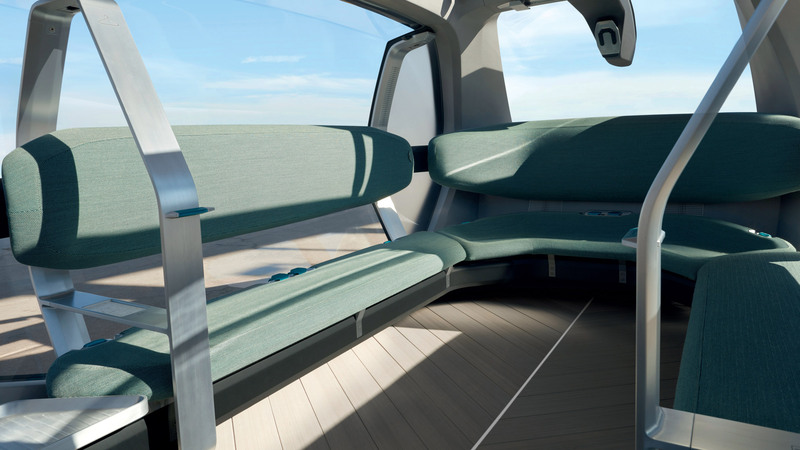 "Once inside, passengers can enjoy an open space for discussions, with sofa-type seating in a semicircle for more conviviality." "You can choose where you want to sit when booking. Once everybody is settled in and any luggage fastened in the reserved spots, just push the button to tell the vehicle that it can start again." Outside, sounds are also emitted to signal the vehicle's presence to pedestrians and cyclists. 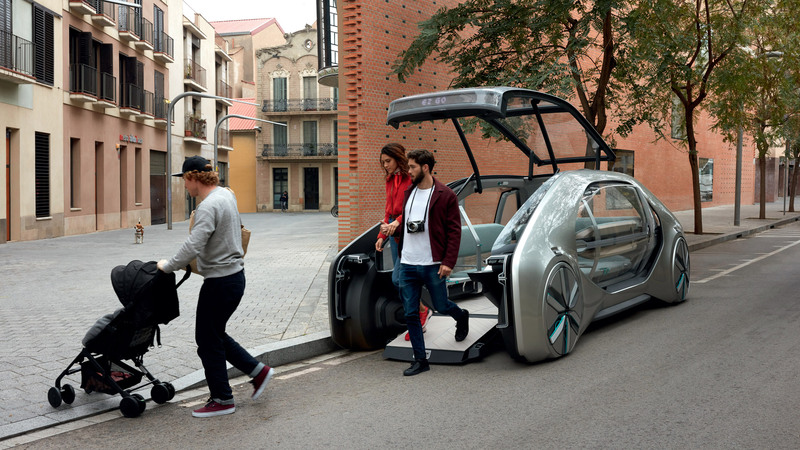 The concept is part of Renault's ultimate aim to launch a ride-hailing service and robo-taxis by the end of 2023, with the firm hoping it will become a part of the smart city ecosystems that are currently being developed. 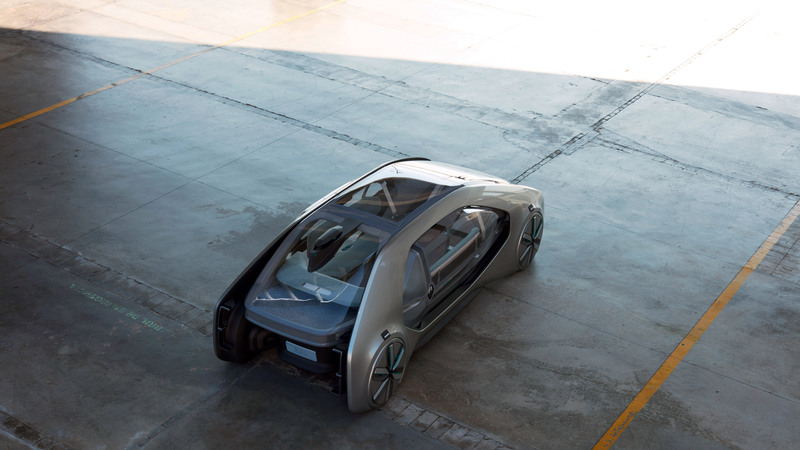 This year, the company have moved onto exploring the future of shared mobility, and the Ez-Go concept has been revealed ahead of the Geneva Motor Show, taking place from 8 to 18 March 2018.